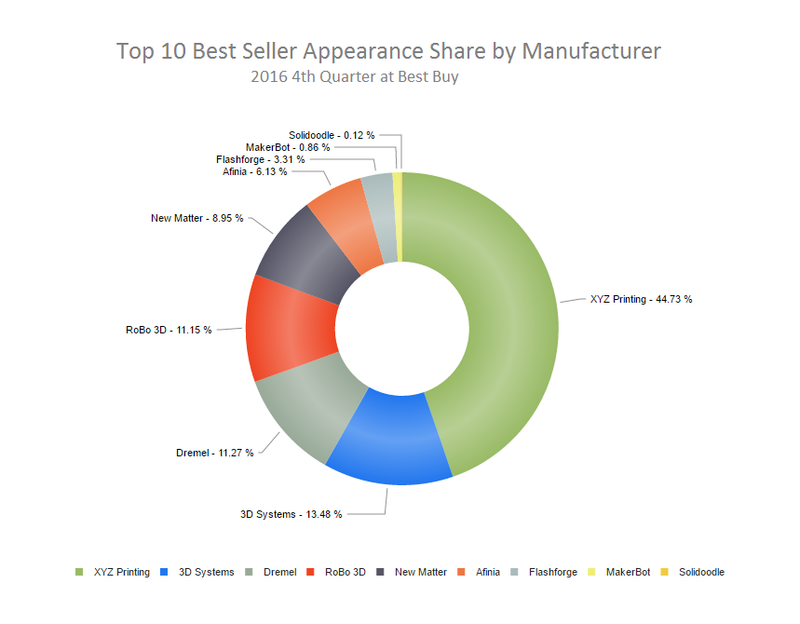 For the last few months of 2016, data has been published that provides good insight into some of the most popular desktop 3d printers being purchased across the United States. Information from Best Buy and Amazon - two of the nation’s largest retailers - on the 20 best selling 3d printers sold via their platforms indicates that price is of paramount importance for people interested in desktop 3d printing, and printers that can stay under $500 have a much better chance of drawing general consumer interest. 3 of the top 5 desktop 3d printers sold via Best Buy were under $500 and the top 3 selling desktop machines on Amazon all retail for less than $400. A company called Monoprice, which produces everything from headphones to HDMI cables, now has the top 2 selling 3d printers on Amazon. They are relatively new to the 3d printing market, which makes this fact impressive, and they are showing that while some users do need advanced technology from companies like Lulzbot, Dremel, Ultimaker and Robo, not all 3d printing users are concerned with advanced capability and instead want basic printing and affordability. At Best Buy, the top two machines from printer makers Dremel and Robo are more expensive than the top 2 sold via Amazon, indicating that purchasers on Amazon are more concerned about price and therefore are doing less research on higher quality machines than those buying elsewhere. 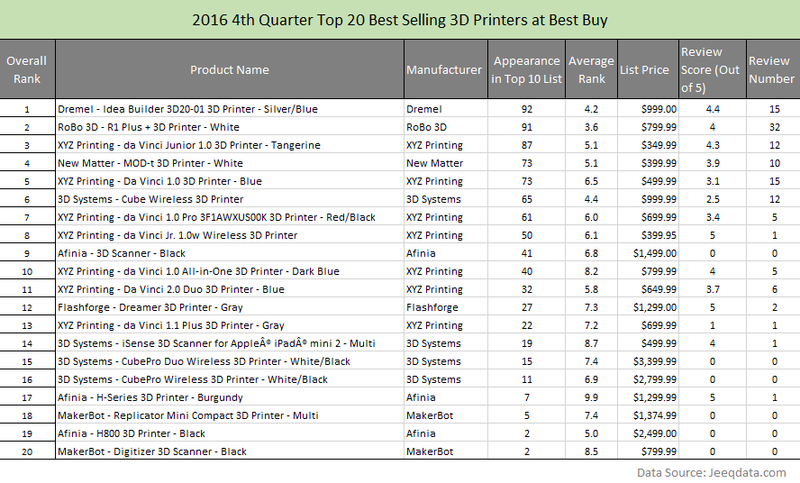 Other notable items from the report published by JeeQ Data show that Taiwanese 3d printing brand XYZ Printing has 5 of the top 10 selling desktop 3d printers at Best Buy and 3d printing pens are quite popular over at Amazon. For businesses and schools that have projects which require a lot of printing, it makes sense to do quite a bit of research and make a larger investment on a top tier machine. However, for those that want to get their feet wet with additive manufacturing (3d printing) technology, it seems they’re more concerned about price than anything else. These are the Desktop 3D Printers People are Using was originally published in 3dprintingtech on Medium, where people are continuing the conversation by highlighting and responding to this story.